Many of our customers are use to the bright smiles that our technicians bring to their home. Our team has been servicing customers homes with a combined 15 years of industry knowledge and experience. Most of our team members began their career with small carpet cleaning companies where they learned the fundamentals of carpet cleaning, then moved to contracting with other nationally recognized companies. Now, our team have honed their skills and took many certification courses to perfect this trade, quickly gaining professional reputation with customers and with others in the industry while becoming the face of TruRenew Clean. 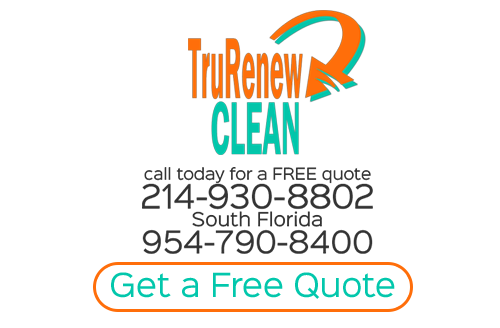 The TruRenew Team have become highly recommended, among most of their customers and contacts throughout the industry, by delivering exceptional customer service, high quality cleaning results and honest upfront pricing. The average Plano homeowner could use a good Steam Carpet Cleaning for their home right now and doesn't even realize it. It doesn't matter how regular you are about a thorough vacuuming, there are just some things that can't be taken care of without a deep steam clean. Taking care of cleaning tile floors is a tough job that can be messy, uncomfortable and still not lead to the results you want. It's when you choose a team of professionals for your Rockwall Tile And Grout Cleaning that you can truly get that deep clean you need in order to take care of your home.